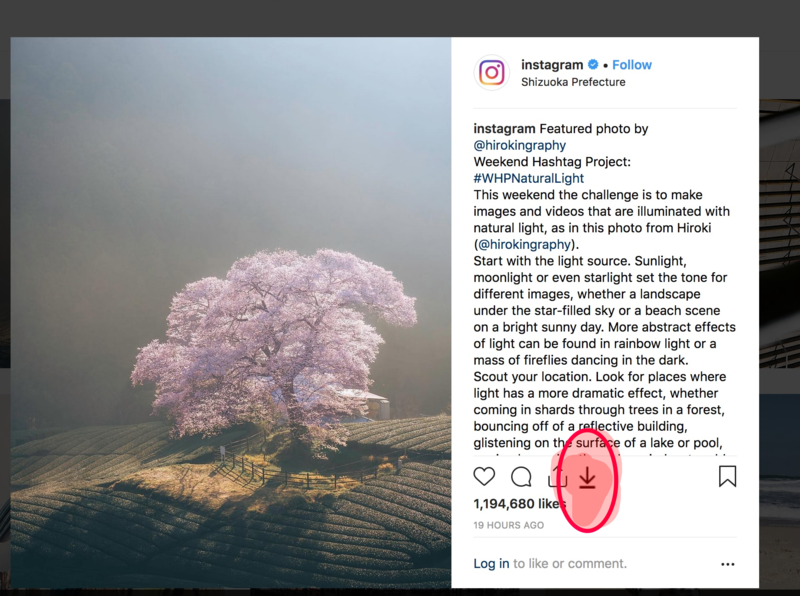 Just head towards the instagram photo/video you would like to download instagram page and click on it. and you could see the download option near to the comment button. Upon clicking that button you will be taken to the website for downloading the instagram photo or video of high quality for free.